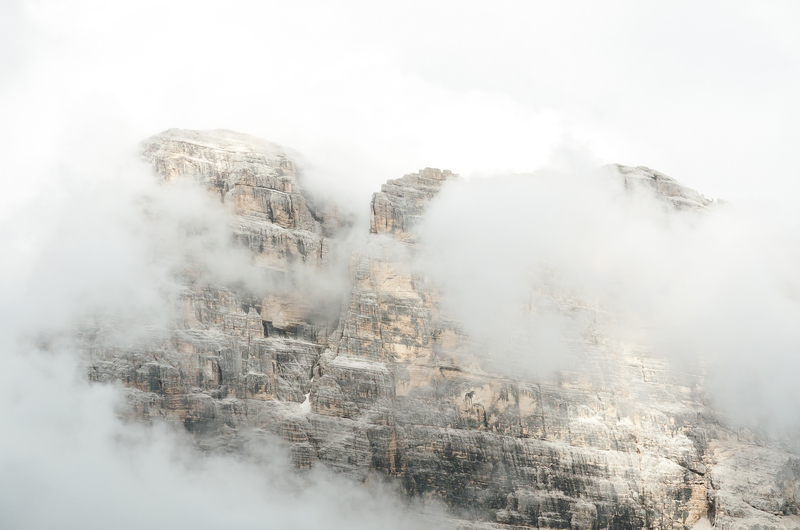 The Dolomites are a mountain range in Northern Italy. 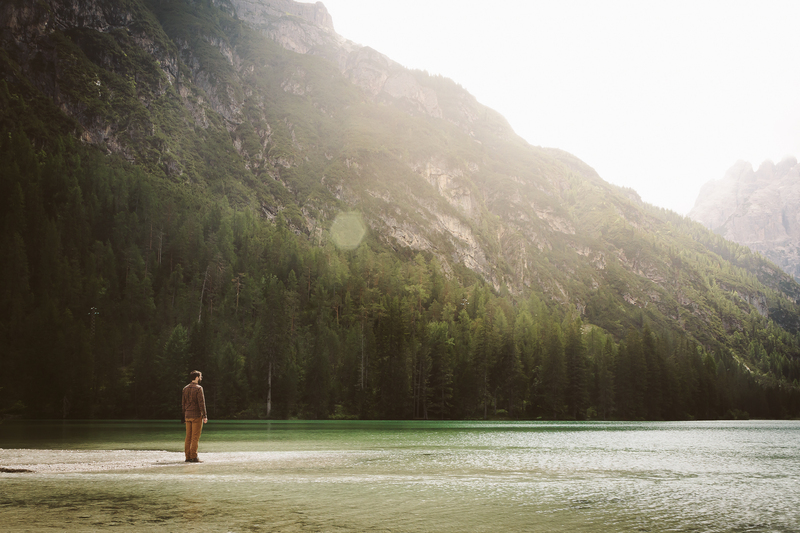 This blogpost is part I of our “Summer in the Dolomites” series. 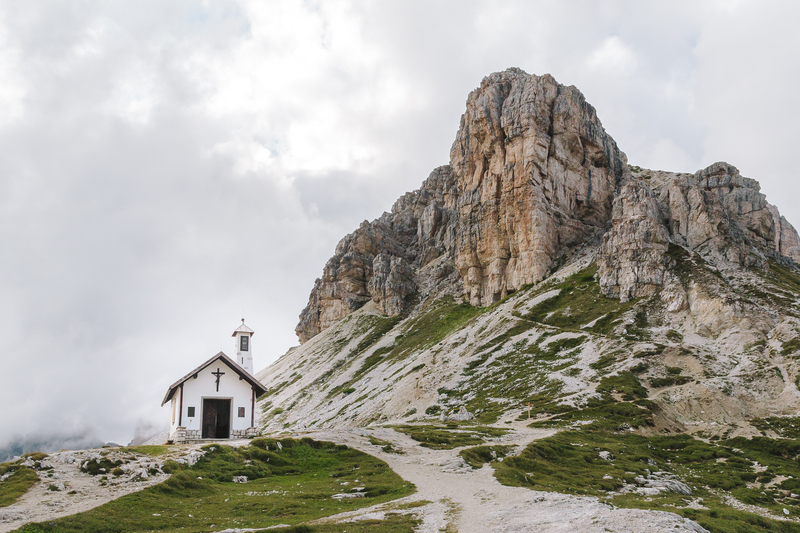 In part II we showed you places to go in the area of Val di Fassa (check it out here!). 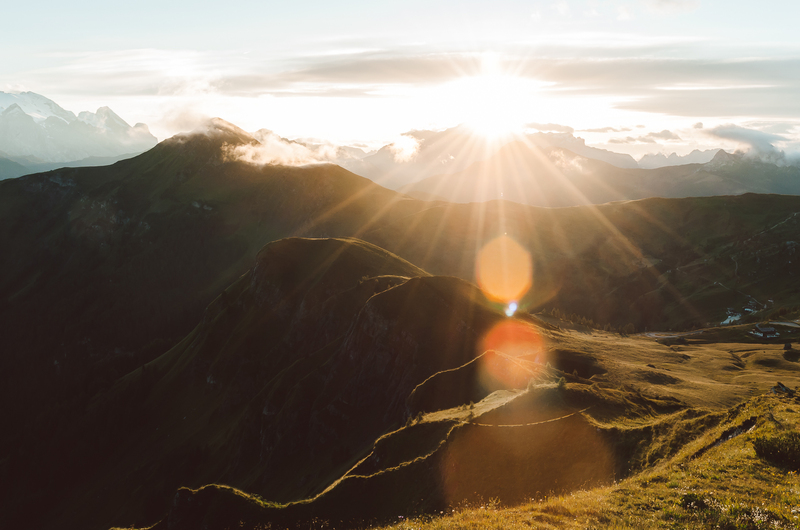 Get ready for beautiful mountain lakes, spectacular peaks and breathtaking mountain views! 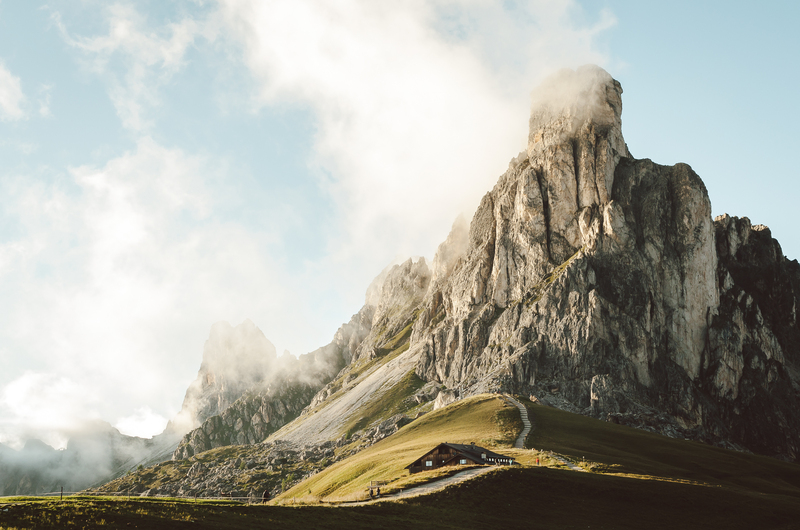 Cortina d’Ampezzo is a popular mountain village in the middle of the Dolomites and it’s a great place to stay when you want to go and explore the area. We stayed here for 4 days during which we explored all the places mentioned in this blogpost. Probably the best thing about the town of Cortina d’Ampezzo itself is the food. We found an amazing pizzeria here called ‘Vienna”, which was luckily located right next to our hotel. The pizzas we ate here are possibly the best we ever had! The second time we went here we had to wait in line for an hour, but it was absolutely worth it! 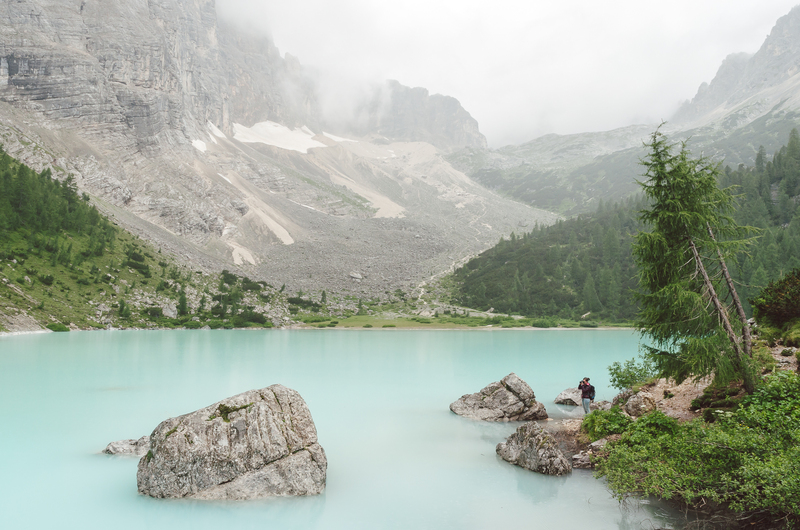 One of our favorite hikes was the hike to Lago di Sorapiss. We started our hike at Passo Tre Croci and from there we followed trail ‘215’ towards the lake. The first part of the hike is relatively easy and leads you through a green forest. Once you get out of the forest the path gets a bit trickier and you’ll come across some very narrow sections. Luckily these sections have fixed iron cables to hold onto. 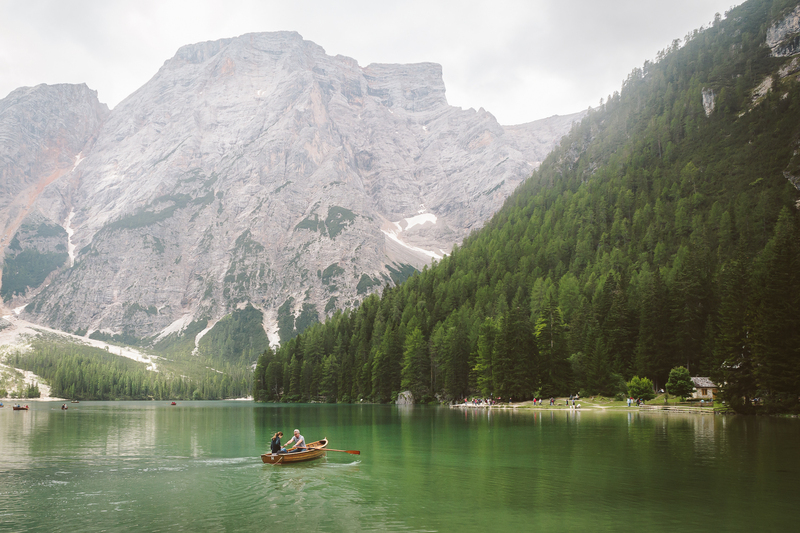 After about 2 hours you’ll reach Lago di Sorapiss. You’ll be amazed by the color of the water! It’s a kind of milky-blue and unlike anything we’ve seen before. 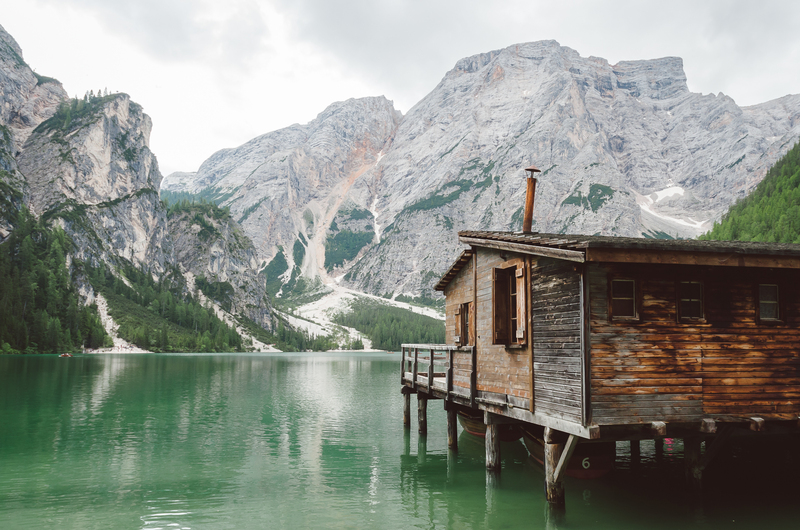 There’s a hut at the lake called Rifugio Vandelli (1928m). Make sure to try their delicious gnocchi! 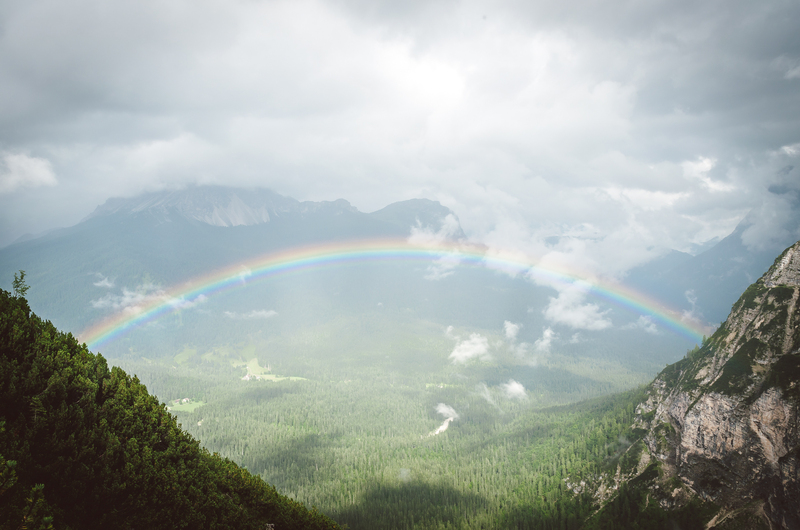 During our hike we had a lot of rain, but on the way back it started to clear up and we were rewarded with an amazing rainbow over the valley below. 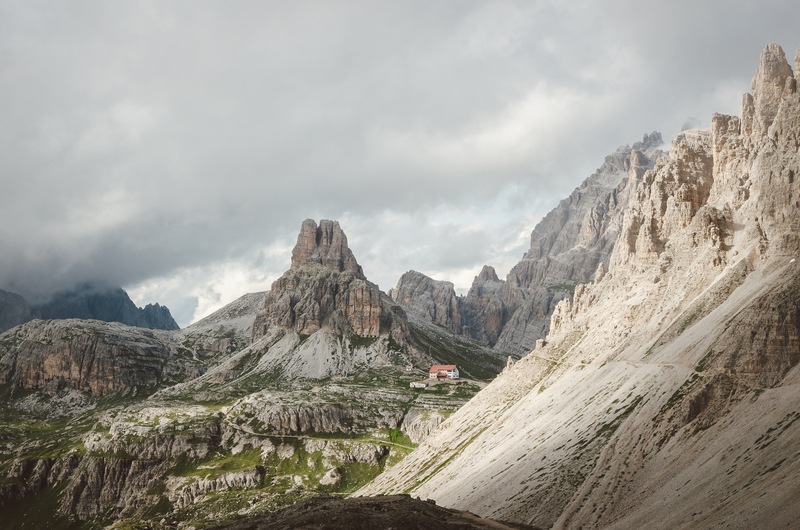 The Tre Cime di Lavaredo are 3 freestanding peaks in the Dolomites. There’s a hiking trail of about 4 hours (9.5 km) that will lead you around the peaks. It’s a popular hike and therefore unfortunately very crowded. We decided to start our hike a bit later in the afternoon. In the beginning it was still quite busy, but in the last 2 hours of the hike we didn’t see anyone! 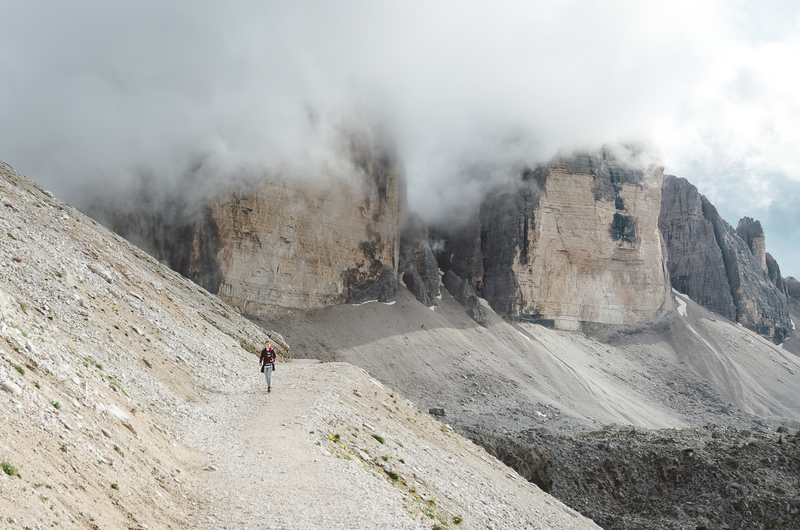 Unfortunately the peaks of the Tre Cime were in the clouds all the time, but it was still a fantastic hike! We only had one proper sunset during our days in Cortina d’Ampezzo. 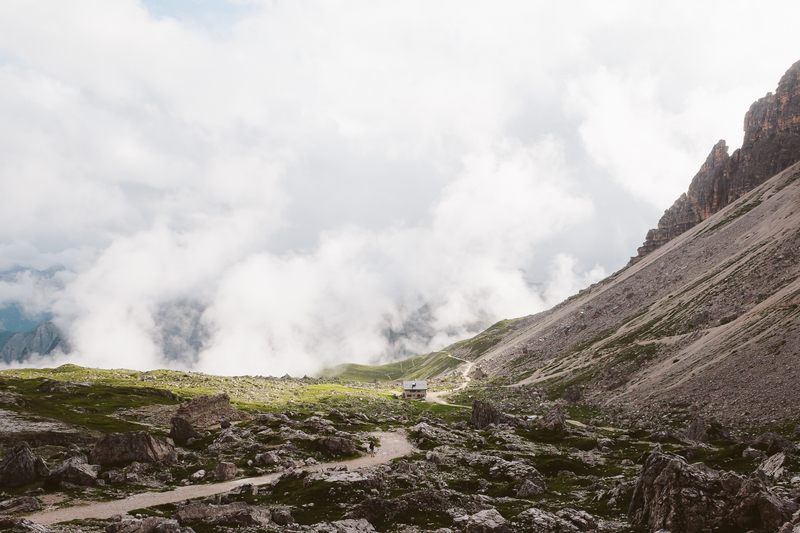 Looking for a place to go and watch it we decided to drive up to the Passo Giau (2236m). It turned out to be the best choice we could’ve made! 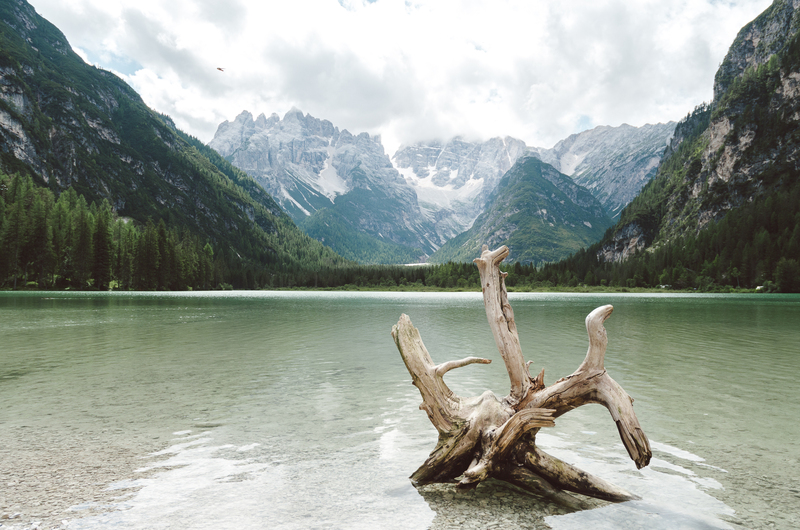 One of the most beautiful lakes you can find in the Dolomites is Lago di Braies. Unfortunately it’s also one of the most popular ones. When we were there it was so crowded that it took away all of this place’s charm. If you decide to go there then go outside of high season or go at the start or end of the day. 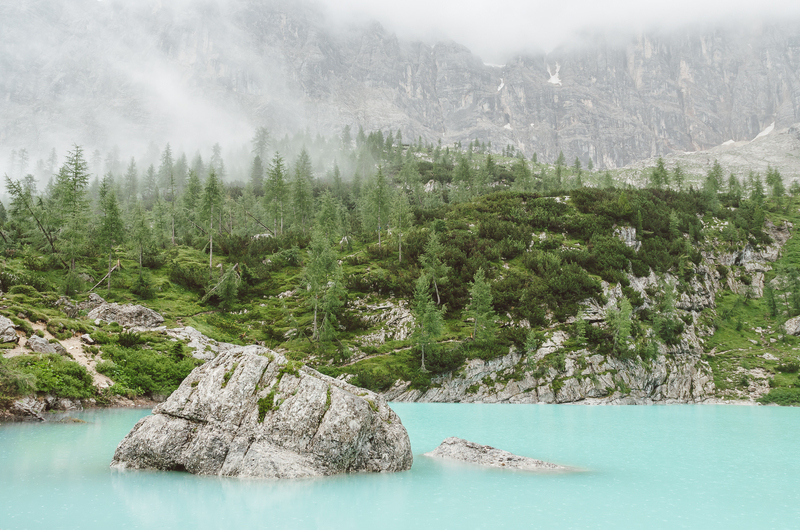 Another lake in the Dolomites is Lago di Dobbiaco. It’s situated right along the road. It’s not the most beautiful lake in the area (relatively speaking of course), but still worth a visit because it’s so easy to reach. 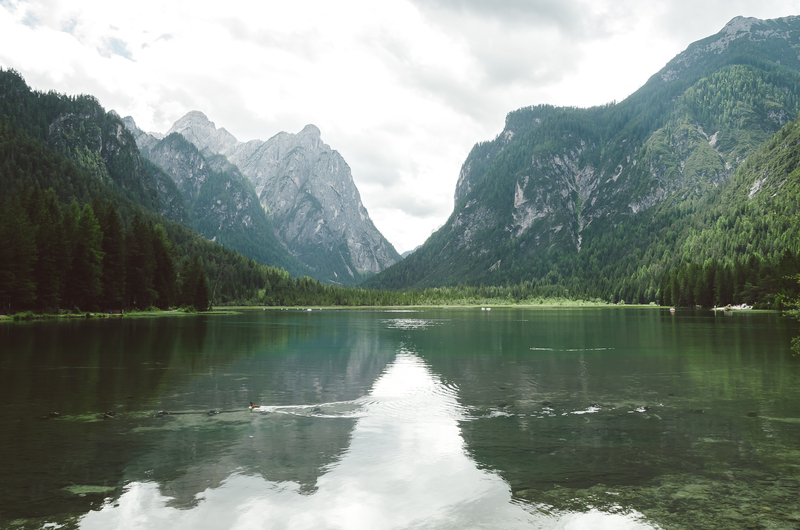 A bit further down the road (towards Cortina d’Ampezzo) is Lago di Landro. You can see the lake from the road, but in order to get the best views you’ll have to walk a bit. Park your car on the North side of the lake and walk in South-East direction. There are some (unmarked) trails leading there, but they are not very clear. Just keep going until you get to the edge of the lake. From here you’ll have an amazing view over the green colored lake and the Cristello mountains in the background. 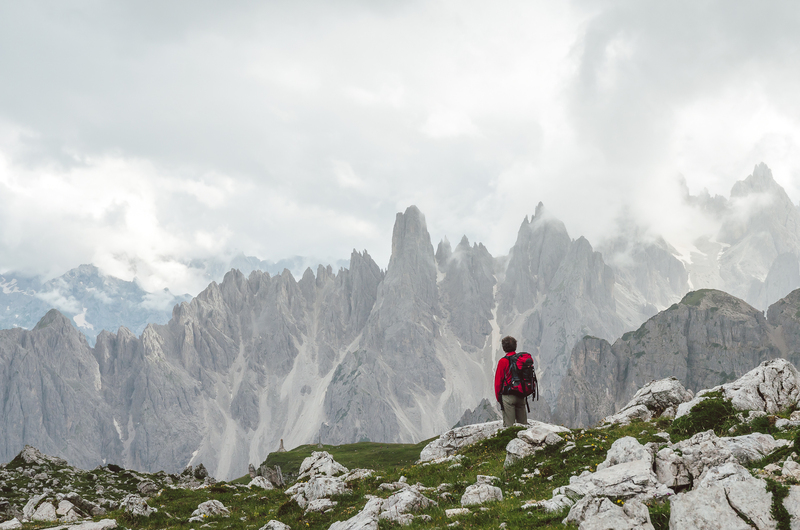 The Dolomites have lots of hiking trails and lots of activities to offer. We definitely will go back in the future to explore even more! 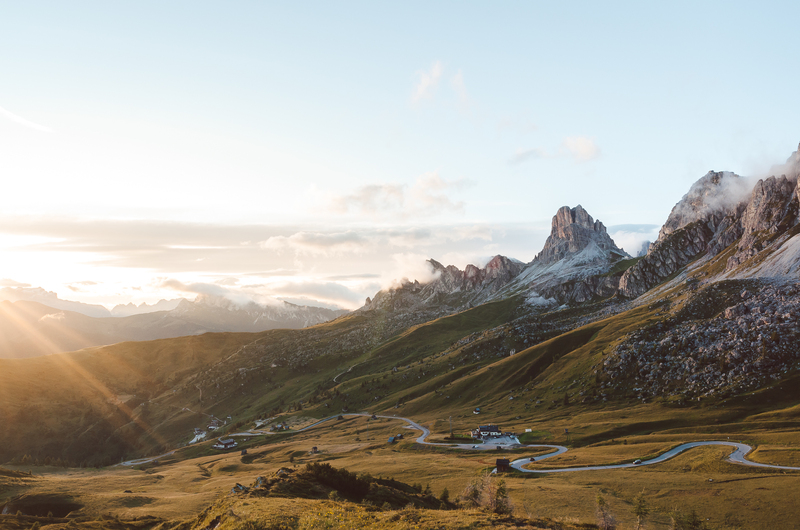 Have you been to the Dolomites? Feel free to share your experiences with us! Absolutely love the photos… Wow! Very inspiring. Thanks a lot. If I may ask, which month of the summer did you visit ? We’re planning to visit in the beginning of July and are wondering if it might be rainy still. Thank you!! We went in july! It is always difficult to predict the weather and can always rain. 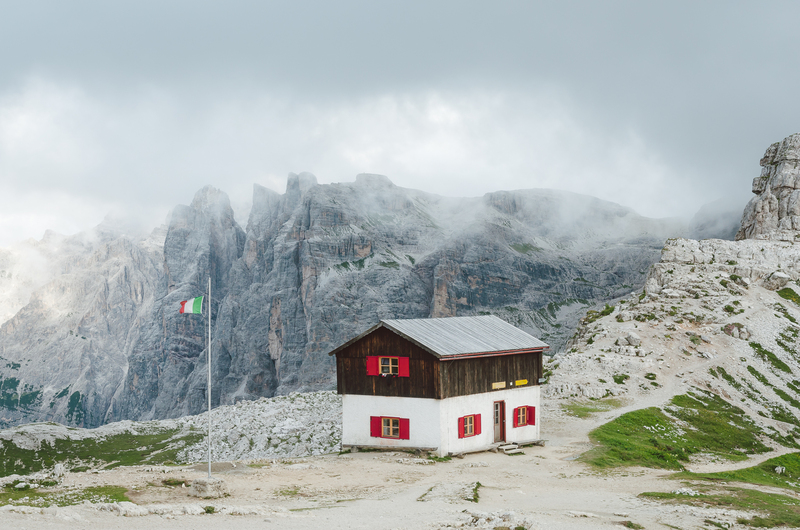 However, normally july is a good time to visit the dolomites. Hey looks awesome! Im going to be in Belluno this summer! 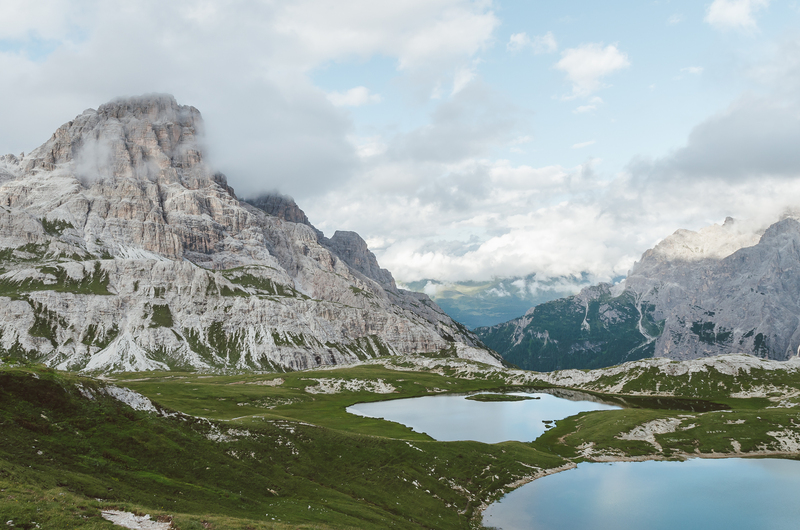 Hoping to hit Lago di Sorapiss and Tre Cime for some day trips. I was wondering, how did you guys get around? Because some of these locations are pretty far apart. Hi Spencer! We went by car, that makes everything a bit easier 🙂 Have fun and hope you’ll have some beautiful views! Hi Amy! Good to hear that. You’ll love it there. While we were here we stayed at several hotels in the area. In cortina d’ampezzo we stayed at Villa Alpina!